This WWE special comes to us from Norwich, England on the WWE Network. Superstars from 205 Live and the UK Championship Tournament had a special event taped while the WWE were overseas touring the United Kingdom. Scheduled for the main event, Tyler Bate defends his United Kingdom Championship against UKCT standout Mark Andrews. We get a brief recap of the United Kingdom Championship Tournament back in January to crown the inaugural United Kingdom Champion, won by Tyler Bate. Four other men made a (bigger) name for themselves coming from that event: Pete Dunne, Trent Seven, Wolfgang and Mark Andrews. That doesn't exclude the other men from the tournament, and they want to show they deserve a shot at the title. Our commentators are Jim Ross and U.K. mate Nigel McGuinness! One scheduled match is Pete Dunne vs. Trent Seven in a #1 contender's match for the U.K. Championship. 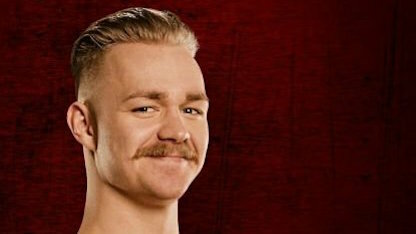 And speaking of the champion, Tyler Bate will defend his title against Mark Andrews. Our first match is coming up starting with "The Last True King of Scotland" Wolfgang and Joseph Connors, including video packages for both men. As the crowd chants "Wolfie" the two circle each other before locking up. Connoers starts with a rear waistlock, Wolfgang counters with a side headlock, Conners takes him down and applies a top wristlock then puts him in a side headlock, Wolfgang pushes him off, Conners goes for a shoulder block but no one goes down. Wolfgang lands a dropkick, Conners clubs him on the back, Wolfgang hits a back elbow, Conners avoids a Stinger Splash in a corner, sets up for a suplex, clubs him on the back to wear him down, Wolfgang blocks the suplex, gets clubbed on the back again, and delivers a delayed vertical suplex to Conners as the crowd applauds him. Wolfgang gets a 2-count, hits a European uppercut, body slam, heads up to the top, Conners stops him and knocks him down to the floor. The referee starts to count Wolf out but Conners hits him with a baseball slide breaking up the count so the ref starts over as Conners goes on the attack ramming his back into the edge of the ring, clubs him on the back and slams his chest on the apron. Conners hits a slingshot body splash, gets a near-fall, stomps on the big man, body shots in a corner, drags him by the arm and leg, pulls it against the ringpost then dropkicks him into it. He throws him back into the ring, ducks a swing, back suplex drop, covers for 2 then puts him in a seated abdominal stretch (even gets a 2-count in the middle of it). Wolfgang finds his second wind as he whips him into a corner, gives him a back body drop, hits the avalanche splash in a corner, goes to the top rope, hits a double axe handle, and gets a 2-count holding his ribs in pain. He thinks about going back to the top rope, grabs him into a fireman's carry position, Conners jumps off, blocks a German suplex, kicks him in the midsection, dives off the middle ropes but Wolfgang counters with double knees to the gut. Now BOTH men are holding their ribs! Wolfgang covers for 2, goes back up top, Conners rolls away onto the apron, Wolfgang walks up to him, Conners with a shoulder to the gut and hits a slingshot DDT for a near-fall. Conners punches him in the gut, Wolfgang tries a military press that doesn't work, so Conners hits a sit-out spinebuster bomb for 1-2-KICKOUT. Conners gets on the ropes, Wolfgang spears him in mid-air, goes up to the top rope and hits the senton bomb for 3! WINNER: WOLFGANG. Mark Andrews and Tyler Bate are seen getting ready for their match. Time for some stars of 205 Live to get some shine. Kendrick and Moloney will start the match for their respective teams. Kendrick puts him in a side headlock but Moloney just throws him off. Kendrick side-steps him in a corner, sticks his boot in his face, works on the arm and mocks Swann. TJP tags in, continues to work on the arm, snapmare, dropkick to the shoulder, gets in Swann's face and daps. Kendrick tags back in, clubs him on the back, butterfly lock, TJP gets the tag again, punches him on the arm, and the crowd sings "TJ is a wanker" as he delivers a snap suplex and covers for 1. Kendrick does some armbreakers before offically tagging in, grabs his arm to feed to TJ, but Moloney counters when Perkins isn't looking and TJ starts working on Kendrick's arm! Swann and Moloney wave to him from outside the ring and TJ starts to realize what he has just done. TJ tries to apologize to Kendrick who starts yelling at him and tags him into the match. Moloney stays in the match as he punches TJP and slams his head on the turnbuckle. Even Nigel ponders why he didn't tag out and J.R. implies it's due to his youth at 20 years old trying to prove himself. Moloney drops him on the middle rope, kicks him in the head, covers for 2, and finally tags out. Swann and Moloney give TJ a double atomic drop, they mock his dab, then give him a double hiptoss. Swann gives Kendrick an atomic drop, gets an assist from Moloney to flip dive onto their opponents and lands on his feet. Back in the ring, Swann gets a 2-count, chops him on the chest, misses a clothesline, Kendrick blind tags in and drops Swann's neck on the top rope. Kendrick kicks him in the back, kneelift, snap suplex, 2-count, whips him hard sternum-first into a corner, Swann tries to fight back, nearly makes the tag, Kendrick grabs his foot and intercepts him from making the tag. Swann then tags Kendrick on the head with a roundhouse kick! Both sides tag, Moloney punches and chops both men, throws Kendrick into TJ and makes him DDT his own partner after Moloney boots TJ in the face! He chops and punches TJ, pop him up to fall splat, makes the cover, Kendrick tries to breaks it up but Moloney moves out the way. Moloney clotheslines Kendrick out the ring, bosy shots to TJ, Kendrick grabs his foot from the outside, TJ connects with a jumping back kick, mounted punches, does a face twist with his boot as the crowd sings "TJ is a wanker" again, and covers his ears as he stomps on Moloney. Kendrick tags in, kicks him on the arm, Moloney tries to fight back but Kendrick remains in control. TJ tags in, body slams him, slingshot senton from the apron, covers for 2, puts him in an hammerlocked chinlock, and Moloney counters with a back suplex. Kendrick gets the tag, Swann punches him to block a sneak attack, Moloney gives him a back body drop, Swann gets the hot tag, punch to TJ, clotheslines for Kendrick, back kick to the gut, somersault legdrop to the back of the neck and gets 2.9! Swann goes up to the top, TJP provides a distraction, Kendrick sets up for a superplex, Swann blocks it and comes off the top with an inverted atomic drop. TJ breaks the count, Moloney throws him into the ropes and he hangs there, TJ ducks him as Moloney falls to the floor, Swann grabs TJ hooking the arms, but Kendrick comes from behind with the reverse snapmare into the Captain's Hook! Moloney quickly breaks it up with a kick, gets the tag, punches Kendrick, over and over, 10-punch in a corner, Kendrick grabs him by the beard and pulls him down, Moloney avoids the Detonation Kick from TJ and shoves him out the ring. TJP grabs Kendrick to try and save him, Kendrick rolls Moloney up in an inside cradle, grabs the tights and gets the 3-count. WINNERS: THE BRIAN KENDRICK and TJP. On night one in Norwich to determine a #1 contender, Trent Seven had gotten the victory over Wolfgang, although it wasn't flawless. He came out of the trainer's room with an ice pack on his forearm. Charly Caruso interviewed him on how his arm is doing, and he answers his arm was sprained but should be good to go. Pete Dunne approached him with a smug look and attacked his arm. J.R. asks Nigel how this could affect their upcoming match and he analyzes that any arm submission is pretty much detrimental at this point even though he is cleared to compete. Next, we get a video package for Pete Dunne and Trent Seven. Pete Dunne comes out with his PROGRESS World Championship; this is of course a non-title match. The crowd starts a dueling chant of "Bruiserweight" and "Mustache Mountain" before the match. The bell dings, Trent's stance is from his left since his right elbow is taped up, he backs Dunne into a corner, clean break, they lock up, Trent backs him into a corner again, another clean break, Greco-Roman knucklelock, Dunne takes him down, tries to reach for Seven's bad right arm but gets denied, and Trent Seven frees himself. Seven chops him on the chest and that drops Dunne, so he chops him again, then pulls him off the ropes and clobbers him from the left side. Seven covers for 1 then puts him in a chinlock, Dunne counters into a rear waistlock, then clubs him on the arm and finally goes to work on the bad arm with a hard kick to the bicep. Both men are outside the ring, Dunne hits a hard forearm shot, traps his arm in between the steps and ringpost and kicks the steps. Dunne gets back in the ring, Trent gets in as well seconds later, Dunne, does mounted punches with his knee on the right injured elbow, kneedrop onto the arm, hammerlocked left arm, rips the tape down and bends his other arm back and gets a 1-count. Dunne kicks him in the back, punches his arm, armlock, Seven reaches the ropes with his feet, Dunne does a double foot stomp to the shoulder and kicks him in the FACE then covers for 2. Seven hits knife edge chops, drops him with a DDT, and hits a tope suicida! Seven throws him back into the ring, Dunne kicks him as he gets back in, stomps on his head, sets up the pumphandle, Seven counters, sets up the pull-back, but Dunne hits a forearm to the bad arm, so Seven hits the lariat from the left! Trent Seven covers, gets a near-fall, Dunne pulls himself up using the ropes, delivers a snap German suplex, Seven counters a suplex with a powerslam and gets a near-fall. British Strong Style is definitely in effect in this match. Dunne throws him into the ringpost, hits a snap Saito suplex, delivers the X-Plex, covers, 1-2-KICKOUT, so Dunne goes right into a kimura but Seven gets his feet on the ropes. Both men roll out the ring, Dunne throws him into the barricade, breaks the ref's count, both men get on the apron, Dunne kicks him in the chest, Trent slaps him, Dunne kicks him and hits a forearm, Dunne blocks another X-Plex and hits a DRAGON SUPLEX ON THE APRON!! Both men fall back down to the floor, the referee checks both men, then gets back in to start his count, and both men make it back in before the count of 10 as the crowd chants that this is awesome. Dunne climbs up the ropes, Seven cuts him off, Dunne fights him off, bends back his hand, elbow to the arm, Seven chops him, goes up the ropes, delivers a dragon suplex from the top BUT Dunne lands on his feet (after a backflip)! Dunne is seething, hits a forearm, Seven with a backhand, Dunne with an enziguiri, SEVEN HITS THE LARIAT, makes the cover and gets the - NO, DUNNE KICKS OUT AT 2.9!! Seven goes for the official Seven Stars Lariat but Dunne counters with a kimura lock and body scissors. Seven refuses to quit, delivers a snap dragon suplex, spinning backfist, picks him up in a torture rack, Dunne slips off and hits the BITTER END for 1-2-3! WINNER and #1 Contender for U.K. Title: PETE DUNNE. That was a really good match. Dunne: "I told you people would get hurt. The goal remains the same. And at NXT TakeOver: Chicago, I take what's rightfully mine, by any means necessary." The Bruiserweight is going to Chicago! Speaking of Chicago, who will be the champion heading into the Windy City? This next match will answer that question. (Unless you have completely ignored the internet until now, then you already know the answer. No matter, because this should be a good match.) We get video packages for Mark Andrews and Tyler Bate next. It's time for the main event! The main event is underway, the crowd sings Tyler Bate's name, both men shake hands, they lock up, Andrews quickly does a schoolboy rollup but only gets a 1-count and the crowd boos. Bate quickly does a knucklelock, Andrews counters with an armbar, and the crowd applauds. Bate gets back to his feet, counters into a headlock takeover, both men stand and are at a stalemate. Bate with a single-leg takedown, leglock, picks an arm for an armbar, Andrews counters with a fireman's carry, covers for 1, takedown, front chancery, Bate holds him up and sits him on the top turnbuckle, they shake hands and it's a clean break. Bate goes for a full nelson, Andrews slips out, Bate puts the full nelson back on, Andrews slips out, Bate re-applies the full nelson, Andrews breaks the hold, hammerlock, Bate sits down to roll out and counter, drop toehold, leg grapevine, drops back, pulls back the arms, and Andrews reaches the ropes to break. Bate with a snapmare, Andrews lands on his feet, Bate trips him up, Andrew rolls through, Bate cartwheels, armdrag, blocks an amdrag, Andrews gets the other side, Bate goes for a headscissors, Andrews lands on his feet, Bate trips him up, Andrews kicks out at 1, both men look for a dropkick, kip ups and a stand-off. That was EXCELLENT chain wrestling. Both men get face-to-face, Andrews shoves him, Bate shoves him back, Andrews shoves him on the ropes, Bate goes for a sunset flip, Andrews backflips through it and dropkicks him then covers for 2. Andrews applies an armbar, flips him over, covers for 2, maintains the armbar, hammerlocks his arm, leg over the back of the neck and slowly applies the octopus stretch. Bate crab-walks to the ropes, Andrews notices this and rolls him up in a sunset flip pin for 2, Bate hits a back elbow and covers for 2. The champion body slams his challenger, rolling senton, covers for 2, then locks in the Billy Goat's Curse (reverse Boston crab) and hooks back the arms as well. He rolls him over for a 2-count, hits a European uppercut, another European uppercut, kicks him in the quad, slams his head on the turnbuckle and hits a running back elbow. Andrews kicks him in the head, hits a running hurricanrana, Bate rolls out the ring, Andrews lands the running flip dive to the floor, throws the champ back in the ring, and does a rollup into a double stomp. Andrews hits double knees to the chest, northern lights suplex, floats over, Bate with a schoolboy rollup for 2, Andrews with a savate kick, Bate ducks a jumping kick, Andrews side-steps the flip kick and lands the standing moonsault for a near-fall. Bate grapples the top rope to block an Irish whip, hits a forearm, then leapfrogs over and Andrews falls to the floor. Bate hits a suicide dive, throws him back into the ring, sets up for the Tiger Driver, Andrews counters with a northern lights suplex, Bate powers up at 2 with his arms STILL locked up, Andrews counters the Tiger Driver again with a spike hurricanrana this time after bouncing off the ropes and gets 2.9! Bate tosses him onto the apron, hits an upercut as he tries to slingshot back in, charges, flips onto the apron, Andrews kicks him in the head and hits a standing SHIRANUI ON THE APRON!! Andrews rolls him back to the middle of the ring but Bate rolls out the other side. Andrews stands in the center of the ring, jumps onto the apron, standing moonsault, Bate catches him on his shoulder, but Andrews counters with a tornado DDT on the floor! Andrews rolls him back into the ring at the count of 4, gets back in and immediately covers for a near-fall. Andrews moves him into position, Bate grabs his foot, Andrews kicks him off, Bate hits a running European uppercut, gets on the second ropes, Andrews kicks him in the head, goes up top, Bate crotches him on the top rope, hits a flying back elbow and covers for 2.9! Both men are down, sucking air, struggling to stand, they make it up to their knees, forearm shots, Bate gets vertical and hits more forearms, Andrews pushes him back and starts slapping and chopping at the champion. Bate tricks him with Biff and jabs with Bop. He tries to throw him out the ring but Andrews swings around with kicks to the midsection (in a 619 motion). Bate hits a European uppercut as Andrews was rolling back into the ring, picks him up on his shoulders, does the airplane spin, starts to go the other direction BUT ANDREWS HITS A REVERSE HURRICANRANA SPIKING HIM and covers for 2.99! Andrews gets to the top rope slowly, Bate is in position, but he quickly gets up and kicks him in the face. Bate meets his challenger on the top, picks him up on his shoulders, but Andrews counters AGAIN with a SUPER HURRICANRANA FROM OFF THE TOP! Amdrews connects with a running shooting star press and gets another near-fall. Bate hits a superkick, bounces off the ropes to hit a lariat, goes for a suplex, but Andrews counters with Stundog Millionaire! Andrews really wants that shooting star press as he goes back up to the top rope, he goes for it, but Bate gets his knees up, both men struggle up to their feet, Bate hits the rolling kick, hooks the arms, hits the TYLER DRIVER '97 AND GETS THE 1-2-3! WINNER and STILL WWE UNITED KINGDOM CHAMPION: TYLER BATE. Even though the end result was already known ahead of time, that did NOT take away how fantastic and technically proficient this match was. This was definitely a match that needs to be watched if you have the WWE Network. PETE DUNNE ATTACKS ANDREWS! Before he can get any further, William Regal storms down the ramp to admonish Dunne and gets into the ring to keep the peace, for now. Dunne offers a handshake, but Bate doesn't trust him. Tyler Bate will now defend his WWE United Kingdom Championship against Pete Dunne at NXT TakeOver: Chicago, and Jim Ross and Nigel McGuinness will call the match this Saturday night!